Beyond its stunning scenery, Tibet Autonomous Region is well known for its unique Buddhist culture, with its beautiful and colorful Thangka art symbolic of its long history and traditions. In 2014, Chinese billionaire and art collector Liu Yiqian paid a world-record 45 million US dollars for a historic piece of Thangka artwork at an auction in Hong Kong. 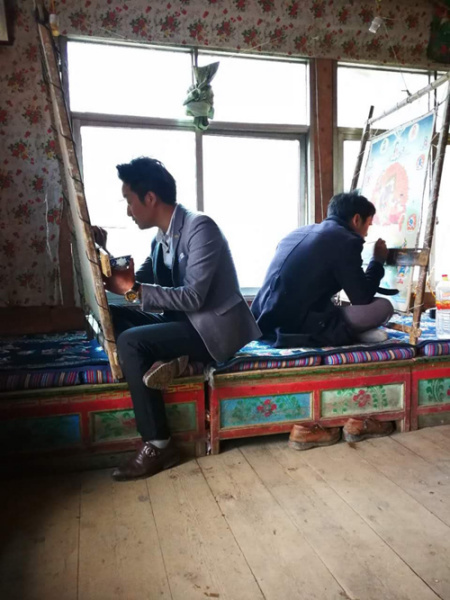 Back in east Tibet's Qamdo City, the home of these stunningly detailed Buddhist paintings, the skills needed to make Thangka are being passed down to a new generation. A four hour drive from the city of Qamdo in east Tibet Autonomous Region, along roads carved into cliff sides and past grasslands grazed by yaks, lies the remote Karma village, home to a Thangka master and around 30 apprentices. Ngawang Choejor has been studying Thangka for nearly eight years. Now 18 years old, he explained that he plans to stay at Karma village for his whole life, to become a Thangka teacher and eventually, a Thangka master. Choejor explained that it takes around two years to learn the basics of Thangka, but many more years are needed to master the techniques required. Thangka are very geometric paintings, and artists need to be able to draw perfectly straight lines by hand. Upon entering the room where the artists are at work, the concentration is immediately obvious. There is silence, save for the sounds of pencils and brushes moving along the canvas. The colors are all natural, and canvas frames are supported with a piece of string attached to the ceiling - techniques that have been used, according to Choejor, for hundreds of years. The artists are paid a salary, based on the quality of the work they produce. 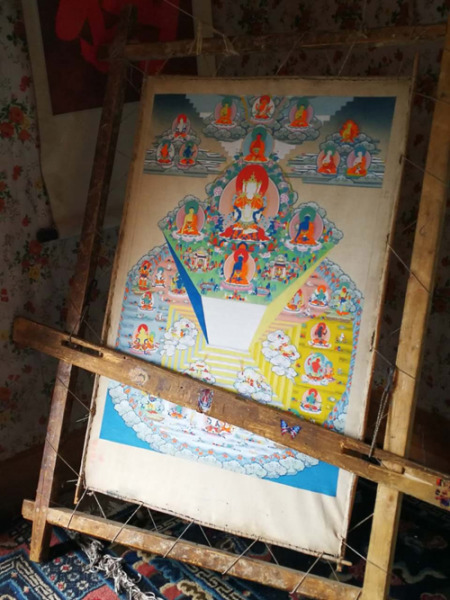 Choejor explained that his parents support him learning Thangka painting, and that his elder brother works as a Buddhist metal sculpture maker nearby. The Thangka village is supported by local authorities, who are keen to preserve this part of Tibetan culture. In fact, as Choejor explained, more and more people are interested in studying how to paint Thangka, with students coming all the way from Beijing and Mongolia. The artists paint from seven in the morning to eight o'clock in the evening. However, Choejor said that he did not find the work tiring. "I am doing what I love, and that is the most important thing in life."